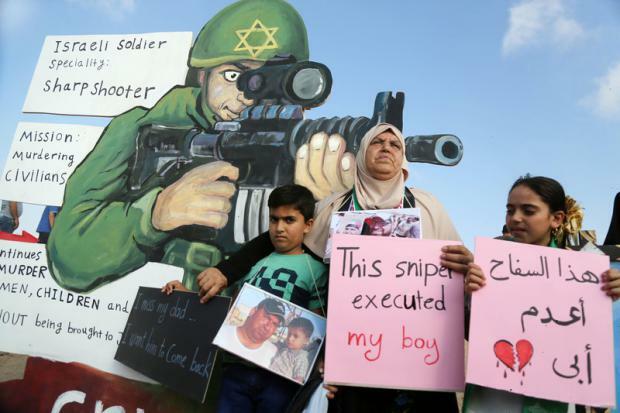 Israeli forces have killed at least 40 children in the context of the Great March of Return protests along the Gaza-Israel boundary since their launch on 30 March last year. About 190 Palestinians have been killed during the protests. A United Nations independent commission of inquiry recently published its preliminary report stating that it had collected evidence of war crimes and crimes against humanity by Israel which has used lethal military force against unarmed protesters. "[Israeli forces] have intentionally shot children, they've intentionally shot people with disabilities, they've intentionally shot journalists, knowing them to be children, people with disabilities and journalists," Sara Hossain, one of the investigators appointed by the UN Human Rights Council, said.